Good, wholesome food made from scratch. That’s what customers have to look forward to when they dine at Miam Café in Miami, FL. Miam seeks to offer responsibly sourced foods that are prepared with lots of effort and love. No overly processed, microwaved fast food here. Miam wants its customers to see food as something more than fuel to feed the body. At Miam, food is joy. Food is comfort. Food is togetherness. People who eat at Miam have experienced first-hand the delight that good food brings them. Just as the meaning of Miam is yum in French, Miam’s goal is to create a space where people can enjoy truly authentic, simple, good food. Customers can choose to order food online for delivery. Miam partners with UberEats, SpeedETab and Delivery Dudes to ensure that customers receive their food orders from Miam in a fast and efficient manner. Takeout for pickup is also available by calling 786-703-1451. 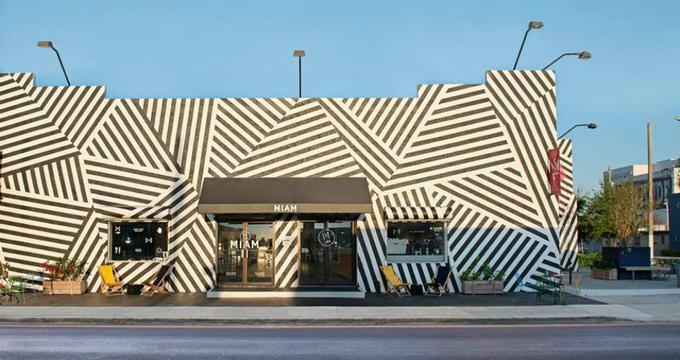 The Miam Boutique is a way to connect the community of Wynwood by offering an assortment of product and services to the general public. This boutique offers a variety of wares from local Wynwood vendors as well as artwork from local artists. Miam Boutique also sources fine grocery products from around the country, exposing local Wynwood residents to an assortment of quality items. The goal of the Miam Boutique is to bring the community together and show that Wynwood has much to offer.